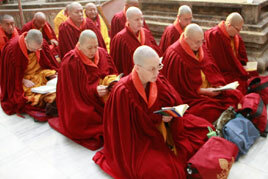 Each month at Rumtek there is at least one, week-long puja (usually devoted to a specific deity); some months the pujas last for two weeks. 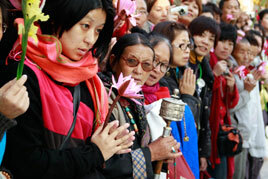 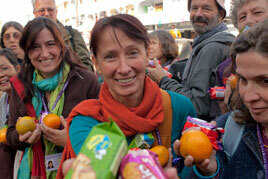 There are also prayer ceremonies on special days of the month. 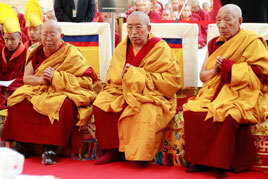 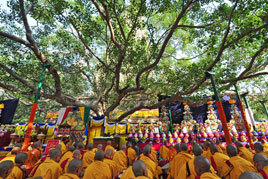 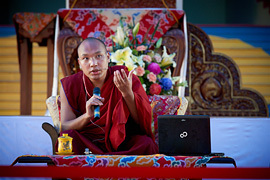 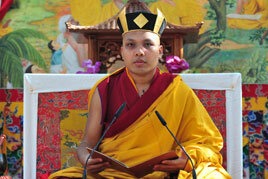 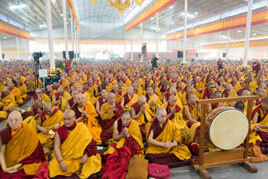 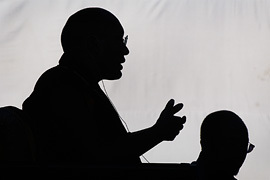 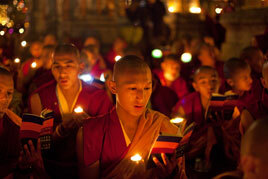 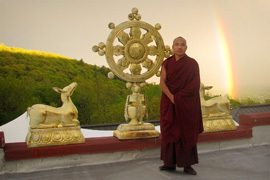 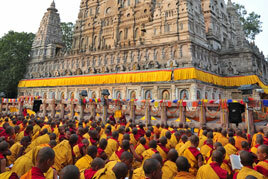 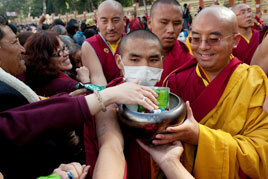 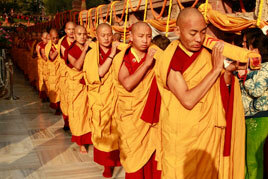 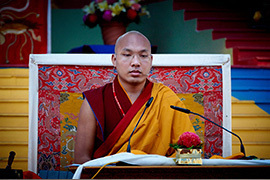 All activities, except the birthday of the Seventeenth Karmapa, are noted in terms of the Tibetan Tsurphu calendar. 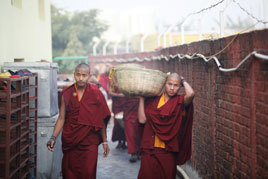 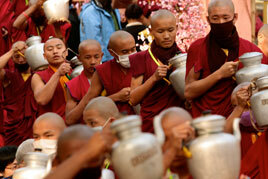 Some of the activities are also detailed in the page on "Practices at Rumtek." 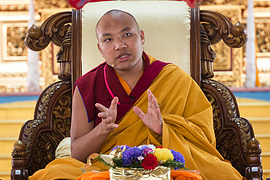 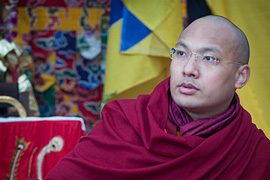 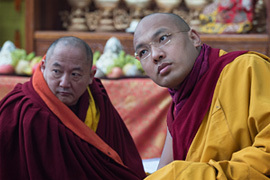 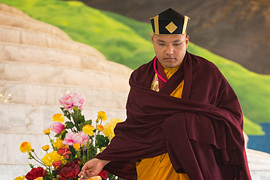 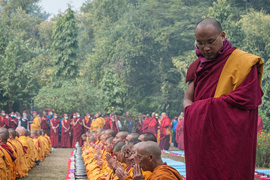 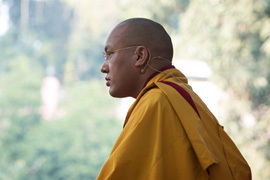 A long-life ceremony is offered on June 26 in honor of the birthday of Ogyen Trinley Dorje, the Seventeenth Karmapa, along with cultural programs throughout the day including sacred dances by the monks, and folk songs and dances by the lay community. 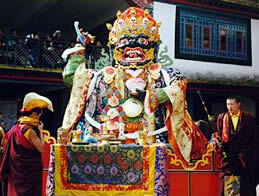 Visit "Practices at Rumtek" for more detail on some of the activities listed above.